You know it’s not realistic, right? Consistently creating super-engaging content that gets your audience’s pulse pumping, sends intellectual stimulation levels soaring, and generally blows the socks off readers every single time. I mean… it would be nice… sure. But it just isn’t realistically going to happen every time. Maybe it is, but you haven’t figured out the magical way to make it a reality yet. You work in a boring industry and there aren’t too many things to write about. Your content is actually boring and it’s actively driving readers to tears every time they try to read it. 9 times out of 10, it’s the second reason. Sorry to be harsh. But unless you want your content marketing to remain in a downward spiral, you need to read this post to learn how to fix it. I’m going to discuss three obvious ways to tell if your audience is bored of your content. Because your content should be something people give a crap about. And if it isn’t, you’re failing at the most important part of your business. Don’t hate me for saying that! I’m here to help. 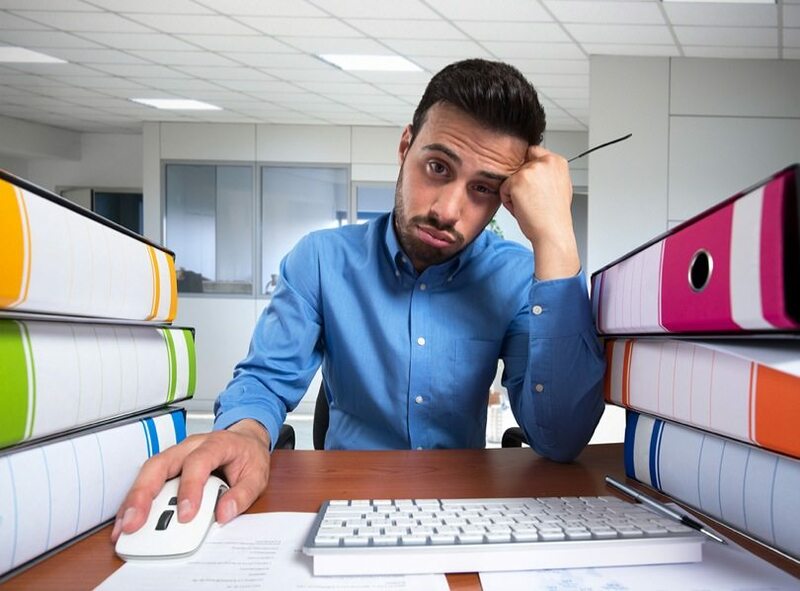 Here are three tell-tale signs your content is boring the life out of people. You’re hosting a Mediterranean-themed dinner for 20 friends. You’ve ditched the paper plates and decided to use your fancy ones for a change. The food you’ve prepared are unusual dishes that will satisfy the tastebuds of all your guests. As for your centerpiece? A lightly-scented rosemary plant instead of the traditional, and overplayed, flowers. You know that this party will be the talk of your friendship circle for months. But in the end? No one shows up. It’s a pretty bad sign if you’re not getting any reaction to the content you write, don’t you think? Now here’s where I’m going to contradict myself. Just because a post doesn’t have any comments doesn’t necessarily mean it’s not successful or boring to the reader. 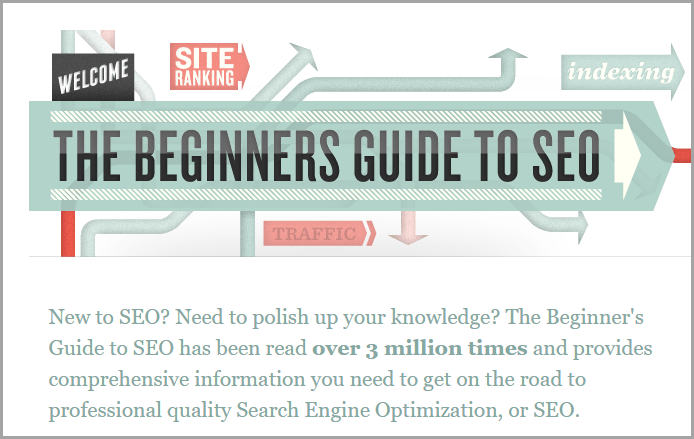 For instance, have you seen Moz’s Beginner’s Guide to SEO? But that isn’t always the case with content that has no comments. So, what can you do to resolve it? #1. Write content that’s engaging. According to a Moz study, 75% of the content out there lacks engagement. So it follows that the more engaging your content is, the better the chances are that it gets ranked. So how do you create engaging content? One word: storytelling. Because regardless of what your content is about, telling a good story to complement it is what draws readers in and gets them to engage. #2. Provide insane amounts of value in your content. Readers rarely visit a site by accident. Which means that when they stumble onto your site, they’re most likely looking for solutions to an issue they’re facing. This is HUGE. Because all you have to do is make sure your content provides exceptionally great value. I know, I know… how precisely do you tell if your content is valuable or not? Well, you could try following this Ultimate Guide To Writing Valuable Content People Give A Crap About that I wrote. I’m not just inserting this as a shameless self-plug. It will really help you ensure that everything you write provides actual value to the reader. #3. Welcome and respond to comments. Bloggers are often too proud or too ashamed to chase comments, but they shouldn’t be. You can either send an email to people who have previously commented on your content alerting them to the fact that you have new content up, or ask people you’ve built a professional relationship with. The best part is that in both of these cases you probably already have their email address from previous contact between the two of you. All you need to do is swallow your pride and remember that if they were interested in your content or your business once, they’ll probably be interested in it again. If you build a relationship with commentators, chances are they’ll come out of the woodwork on every post you write. It’s hard not to fall victim to vanity metrics on social media. Even though metrics like email subscriptions and annual revenue should be the real yardstick for your content’s performance, the number of likes, tweets and shares still help determine how successful your content is. Because even though social signals don’t impact your Google ranking, the more shares your content has, the more ‘social proof’ you have. In other words, more people will share (or choose not to share) based on the number of shares a particular piece of content already has. Let’s run through a quick example here. Say you visit two blog posts on the exact same topic. 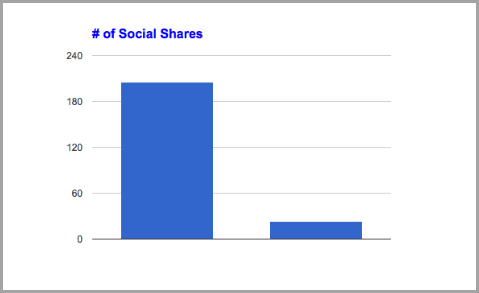 Post A may have received 205 total shares, while Post B received 23 total shares. Which one do you think a brand new visitor would be more tempted to share? The post with 205 shares wins – simply because of the number of shares it has. 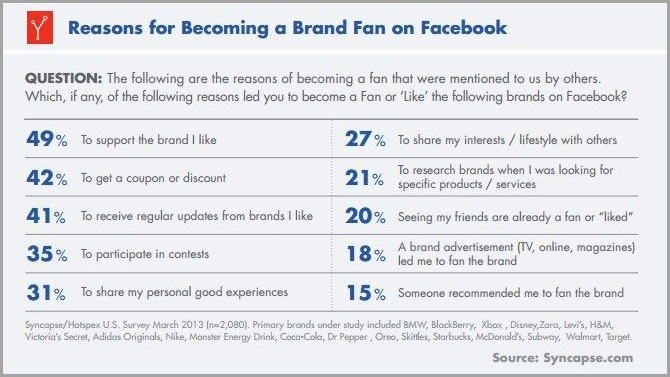 In a study conducted by Syncapse, they found that one of the reasons Facebook fans “liked” anything was because someone else also “liked” it. 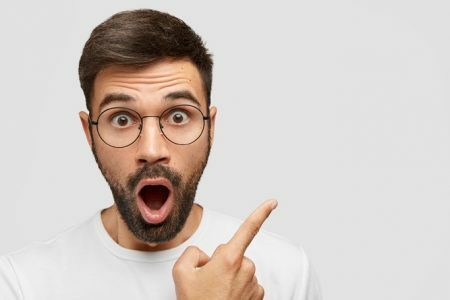 Meaning that even if you get a high profile person to share your content with their audience, it may not necessarily benefit them to share it. 93 Million followers, and that’s all? 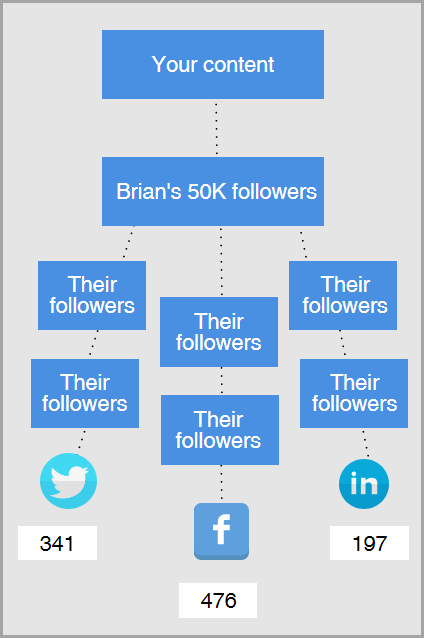 Because the majority of his followers may not know or even care what link building is. So remember that example about link building? 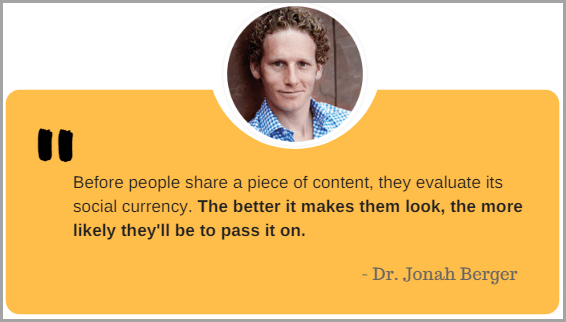 It certainly helps to get your content shared by influencers who are interested in the topic. #1. 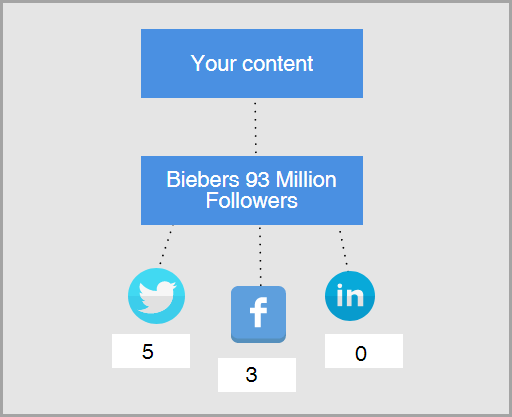 Write content that influencers would want to share. D’uh, right? As important as creating content for your readers is, creating content that influencers love is MUCH smarter because if they have the same audience you’re trying to reach, you’ll access it too if they willingly share your content. A quick hack to ensure you get this right is to go to a site like BuzzSumo and enter the keyword your content is based on. Once you’ve done that, search through the list and find a topic that’s been shared a lot. Use it as inspiration to create a post that provides even more value. #2. Reach out to people who shared similar content. To be completely honest, I’m not a huge fan of this strategy as it has been over-used in recent years, but it does work. 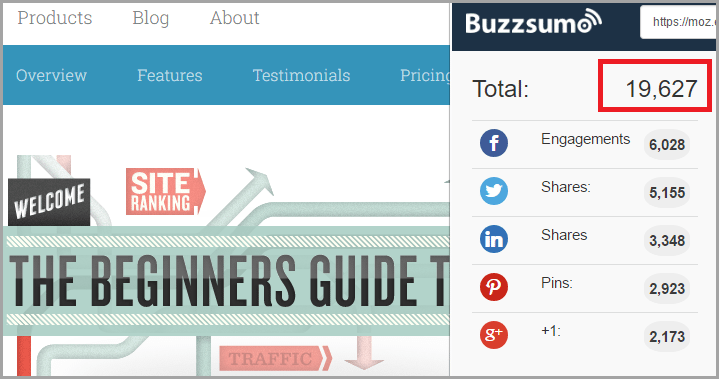 First, go to BuzzSumo and enter the same keyword of the topic you’ve written about. So again, if your topic is ‘website traffic’, enter that in the search. Next, click on the sharers tab and sort the list by the number of followers. Then, using Excel or Google Spreadsheet, make a chart of all the people you’re planning to contact. Lastly, search social media to find their contact information and reach out to them. Here’s a script that I’ve used before that has had success. I noticed that you tweeted out one of my favorite articles a couple of months ago: [name of post]. 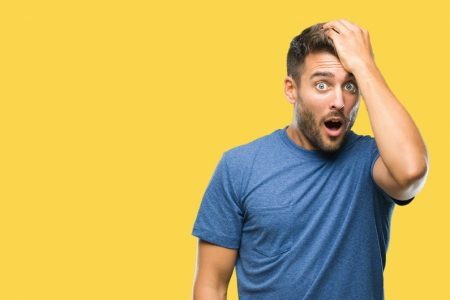 I recently published an article that deals with [topic] that I think you might enjoy as well. Want a heads-up when it goes live? Picture this scene: it’s Christmas Eve and you’re at your local shopping mall trying to get a last-minute gift for someone special. This year, you promised yourself you were going to get your shopping done early, yet there you are, navigating the chaos. Fortunately, you know exactly what you want to buy and how much you want to spend. You knew what you were looking for. The store didn’t appear to have it. So you left. That exact same thing happens with your site. But lackluster content is also a reason why they’re abandoning ship quickly. And that’s a big cause for concern. #1. Add links to your own internal pages within your content. 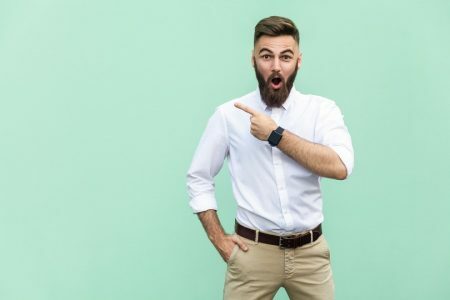 In other words, on your ‘About’ page, include links to obvious places that visitors to your site might like to go, like your ‘FAQ’ or ‘Shipping’ info. Make it a priority to think about other pages that people might be interested in seeing if they’ve come to your website and anticipating their needs. #2. Make sure your website is visually appealing. This sounds obvious, right? But how many times have you left a site because it looked cheesy and unprofessional? According to Stanford research, people evaluate a site very quickly by looking at its design. So, that means that the better the design, the more credible you seem, and the better the design, the lower your bounce rate. To be blunt, there’s a lot of bad content out there. And that’s a major contributor to a high bounce rate. Think of it like this: if you’re not providing what the visitor wants, why would they feel obligated to stay? Look at pages on your website with a high bounce rate from an objective perspective. Figure out how you can improve the content so it keeps visitors on the page longer and increases the low average time spent on site. Ready to put an end to boring content? To be perfectly honest, writing great content can be difficult. Whether you work in a dull industry or not, it’s hard to nail it every time. But your content should never be unbearable, unreadable or boring. Everything is fixable if you’re willing to work on it. 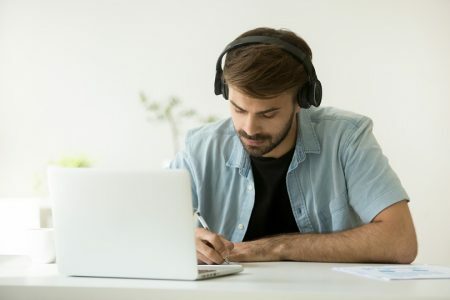 You just need to pay attention to the non-verbal cues people get when they land on your website or engage with your content, and create content that provides three main takeaways for audiences: education, evidence and action. Content can hit the mark, get noticed and stand out from the competition if you follow the tips above. Best of all, it can stop boring the life out of readers! If you feel inspired by this post, I’d love to hear how you go. Guest Author: Andrew M. Warner is the content writing mastermind behind ContentRanked, a website that helps marketers and businesses create content on their site that converts customers. When he’s not creating content, he’s usually networking on Twitter – follow him here.